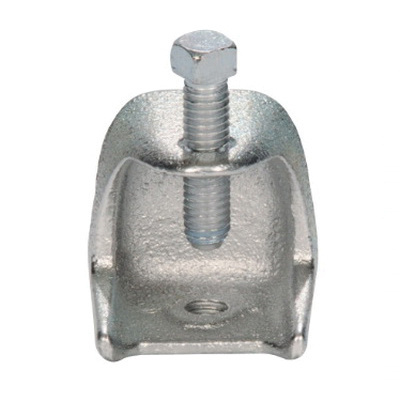 Sepco Beam clamp features zinc-plated finished malleable iron construction and is suitable for threaded rigid conduit hanging systems. It has a dimension of 2.5-Inch x 2.53-Inch x 2.14-Inch. Clamp has a trade size of 2-1/2-inches and jaw opening of 1.25-inches. Clamp is UL/cULus listed and CSA certified.